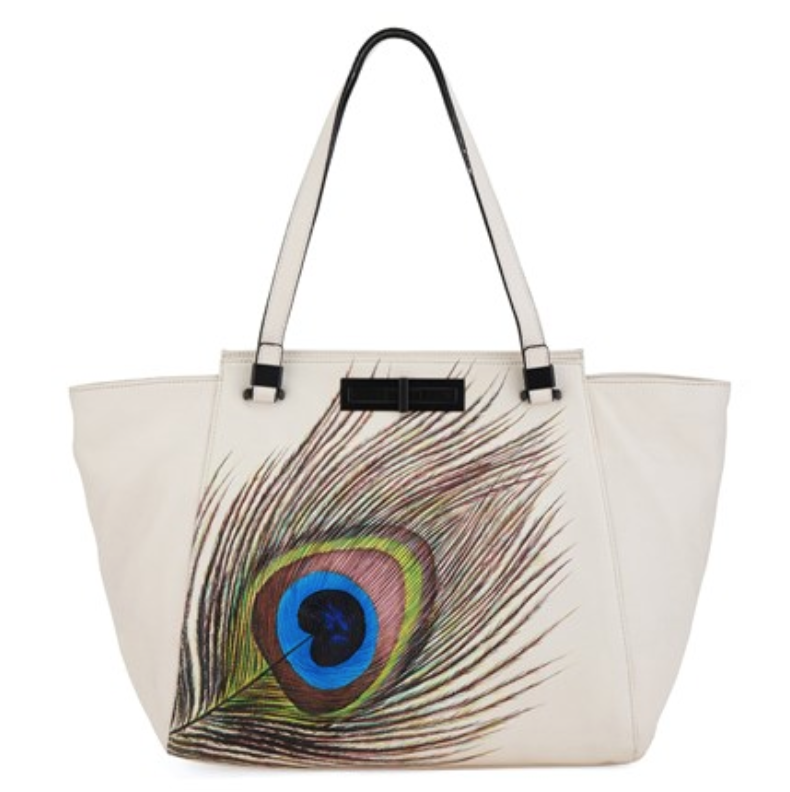 A brilliant hand-painted Peacock feather enlivens a spacious, structured tote crafted from soft, supple leather. Turn-lock closure. Interior zip, wall and smartphone pockets. Leather. By Elliott Lucca; imported. 18 ¾”W x 12″H x 6″D. (Interior capacity: extra-large.) 9″ strap drop.